The Chinese giant defied a global phone slump with a 53 pct jump in 2018 sales to $26 bln, even after a sluggish fourth quarter. Bets on cheap-and-cheerful markets are paying off, as is a shift to pricier devices. Despite boss Lei Jun’s internet ambitions, hardware still matters. Visitors visit the Xiaomi booth at the Mobile World Congress in Barcelona, Spain, February 26, 2019. 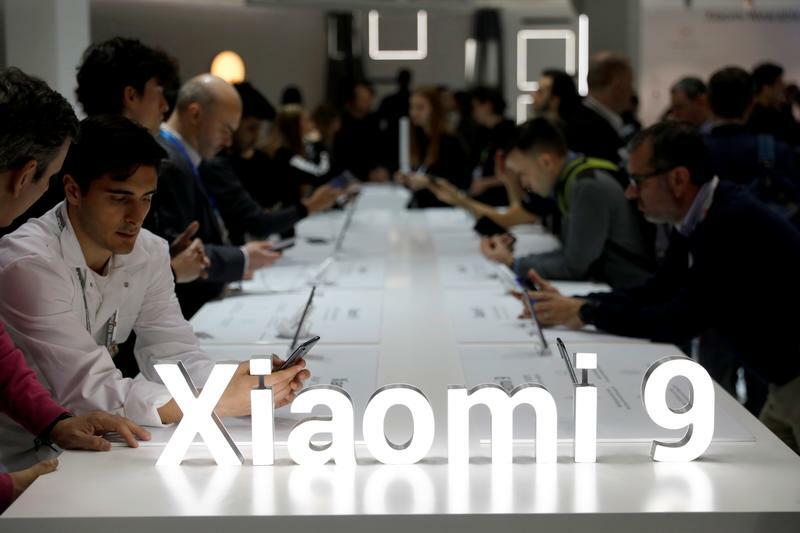 Chinese smartphone maker Xiaomi said on March 19 that revenue in the three months to December was 44.4 billion yuan ($6.6 billion), an increase of 27 percent from the same quarter the previous year. That's slightly lower than the average analyst forecast of 47.4 billion yuan, according to data from Refinitiv. Full-year revenue rose nearly 53 percent to just under 175 billion yuan. The company reported fourth-quarter earnings of 3.4 billion yuan, compared to a net loss of 13 billion yuan in the same period last year. Adjusted earnings, excluding share-based compensation and other one-off gains more than tripled to 1.9 billion yuan. Global smartphone shipments declined 4.9 percent year on year to 375 million units in the quarter ending December, according to industry tracker IDC. This marks the fifth consecutive quarter of decline. Xiaomi's global market share increased slightly in the period, from 7.1 percent to 7.6 percent, IDC data show.